Was it more exciting to find a smaller ice road already plowed just 24 hours after a 30cm-ish snowfall, or weather as perfect as this and aurora conditions to match? It’s difficult to say, but you know that nights like these are my favourite thing in the world. 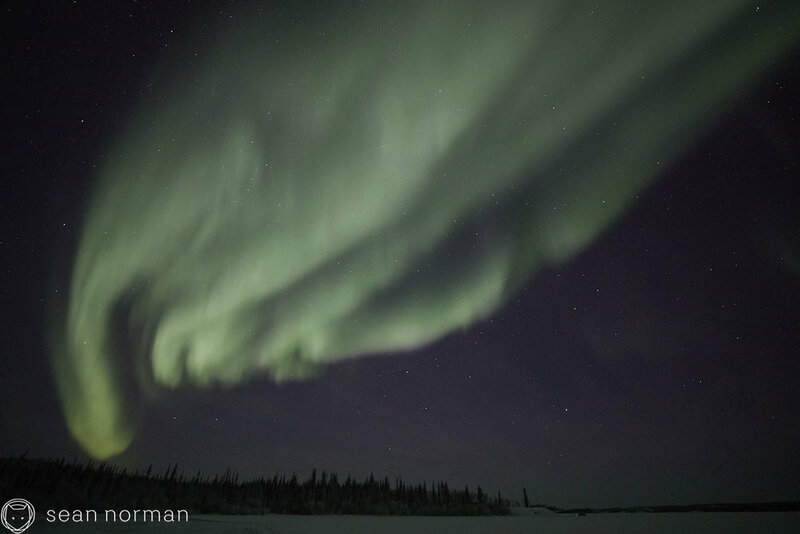 We have a few more days of freedom roaming the Ingraham Trail before the ice road truckers take it over for a number of weeks at all hours of the day and night. So tonight when we needed almost every last inch of it to escape incoming cloud and a brutal arctic wind, I think we felt especially lucky to see what we did. 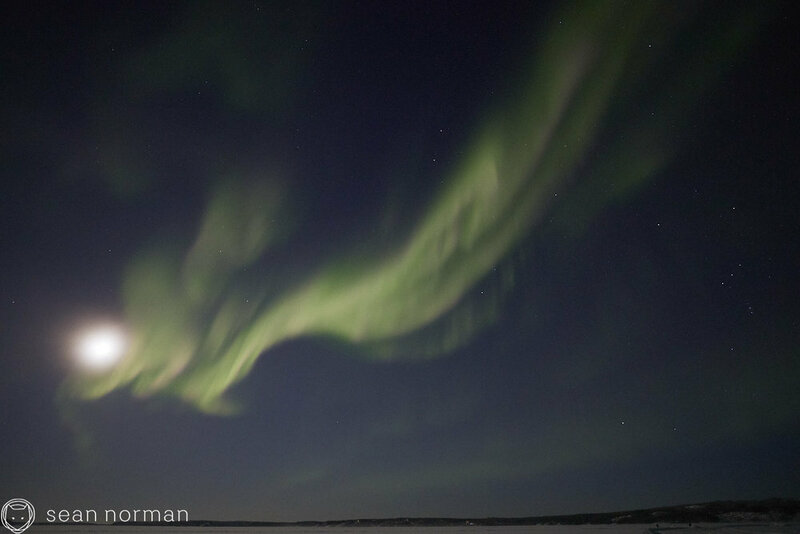 Really so, considering last night where the weather was very similar, but lady aurora mostly stood us up. Sitting in my sheepskin rocking chair in the softest, cosiest warm light of our living room about an hour before tour tonight, I was freezing. We keep our home around 22°C (nothing but important information on this blog), and the idea of going out into a temperature 57 actual degrees colder, to a further windchill of -50° seemed pretty much suicidal at that point. But there is always something a little warming inside about the night sky and this environment …for the first few hours, and then it’s the 1500 RPMs keeping the heater pumping actual warm air into the cabin. Love. 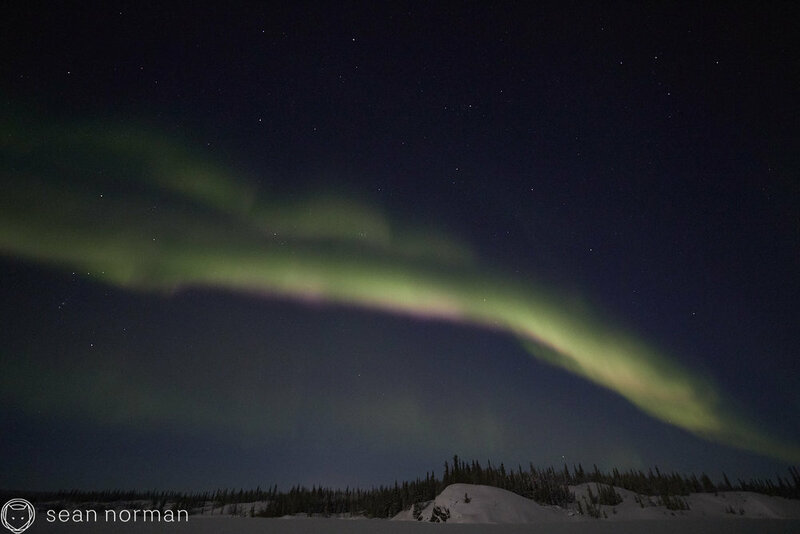 What better time to get engaged than at -41 in the early moments of an auroral break-up. You know these. If you’ve read my endless ramblings on here for long enough, you know these break-ups provide the most spectacular moments of aurora. So the moment could not have been more perfect, especially if you appreciate the irony of it. Congratulations to these two, and an even bigger congratulations to them for having kept all their fingers from frostbite during this at -41. Sometimes expectations are high. Sometimes we have a few nights that humble expectations that were born online, and sometimes in real life - she is swift. 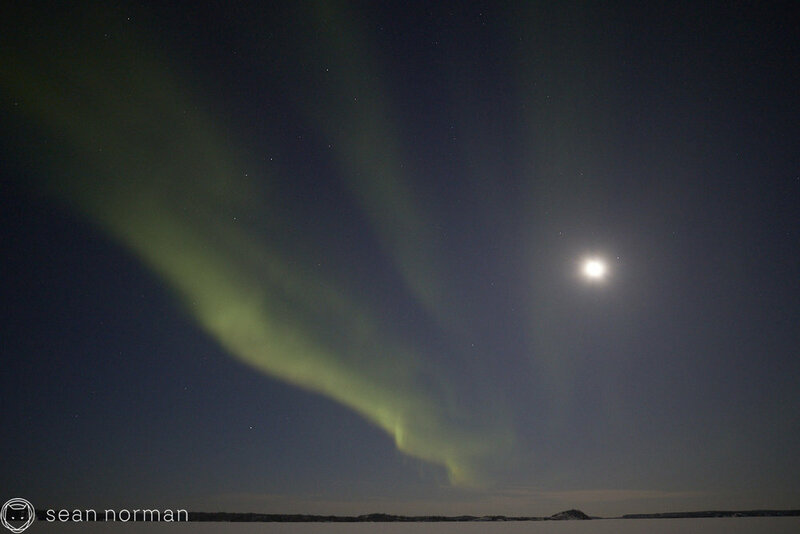 The last few nights have us all appreciating even the fairly brief moments of dance and colour - full moon and all. This was a very beautiful night. These are not the easy nights, the arriving home on a natural high kind of nights. They’re the ones that leave you with a little bit of sadness inside for the guests leaving Yellowknife in the morning having stayed a few nights but having really caught only just a glimpse. The nights ahead are likely to be active, and they’ll be a lot of fun, but it’s a more than a little heartbreaking to be off by a night or two. I had my share of these over my years of travelling here from Vancouver, but I think it’s probably worse seeing others experience it. For the most beautiful hour or so, the quiet aurora conditions didn’t matter, the clouds closing the clear sky gap from the northwest didn’t matter. It was just us and a total lunar eclipse, and it was one of the most beautiful things I’ve ever seen. Aided, of course, by a pair of tripod mounted astonomy binoculars. But raise your hand if you forgot your telephoto lens at home tonight.. So the iPhone through the binocular lenses had to cut it, which was fine. It’s good to just enjoy as well. 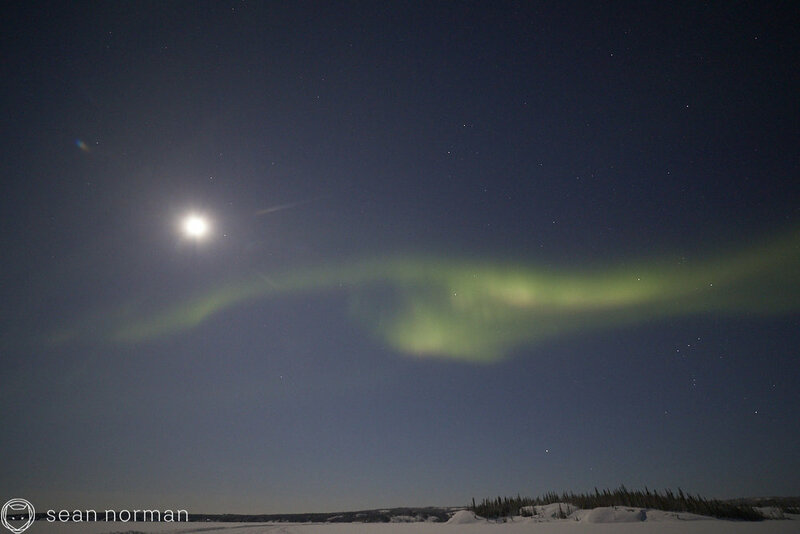 And then for the rest of the night as the moon lit the landscape once again, we chased clear skies up and down the Ingraham Trail, but these are sure quiet days under the aurora, not helped by a full moon. 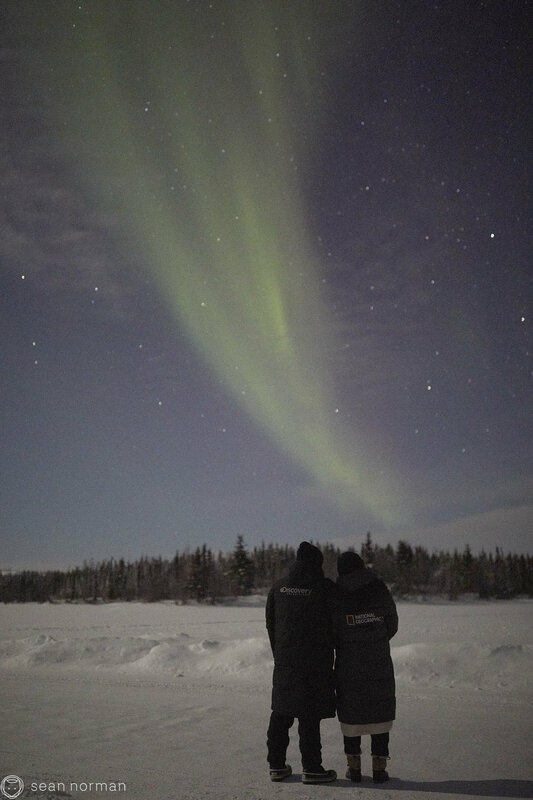 The quietest nights under the night sky spark the most fascinating 4am discussions with a fellow aurora guide and good friend. 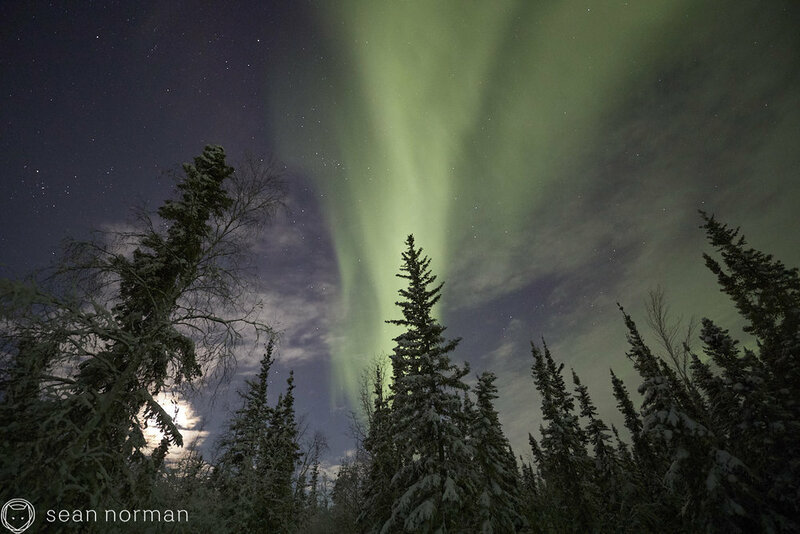 It’s the silver lining to those rare nights with hours and not a hint of the northern lights. This was two nights ago. So when last night as we headed out, even the faintest aurora seen while we were driving from town felt like victory already. Nothing makes you appreciate a normally quiet night quite like getting skunked the night prior. It’s not always blazing colours and dances up there, and this is really what makes her so special. "Extreme Cold Warning. Frostbite in Minutes"
Environment Canada had some comforting words for us when the weather updated last night. 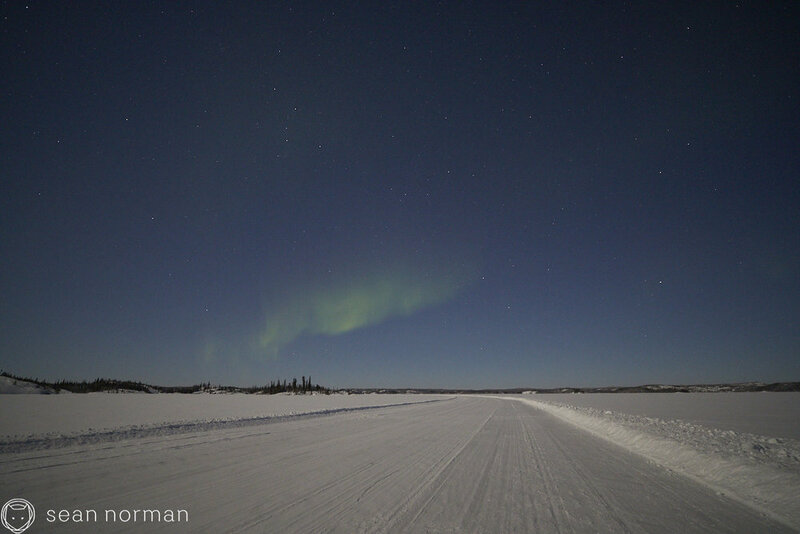 But is there anything more magical than the aurora from a frozen lake outside the city in this kind of environment? I really don’t think so. In a stretch of cold, clear nights - this should have been the odd one out. It was supposed to be warmer, like almost into the -20s not quite, and cloud was going to eat us up. But it seems we dodged all that, and for being perhaps the cloudiest and ‘warmest’ of the next several nights in a row, everything turned out quite beautifully. 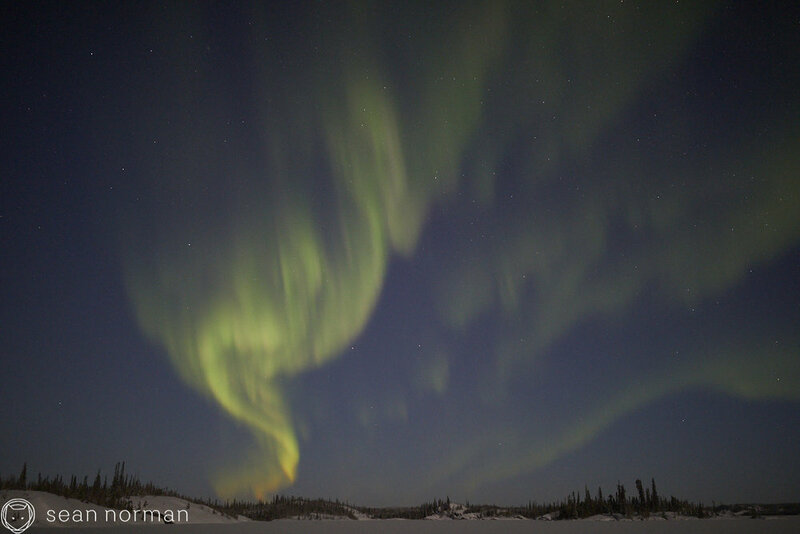 Had of course the aurora been lingering lower on the northern horizon, I might be singing a different tune to last night. But she was overhead, a little south, dancing on the right side of the clouds for us and that’s all we can ask for.